Scones for breakfast has become a Christmas tradition over the past few years, followed by binge watching Star Wars if it is too cold to step outside. This year we watched The last Jedi few days before, leaving us with just the hunger for scones :-). 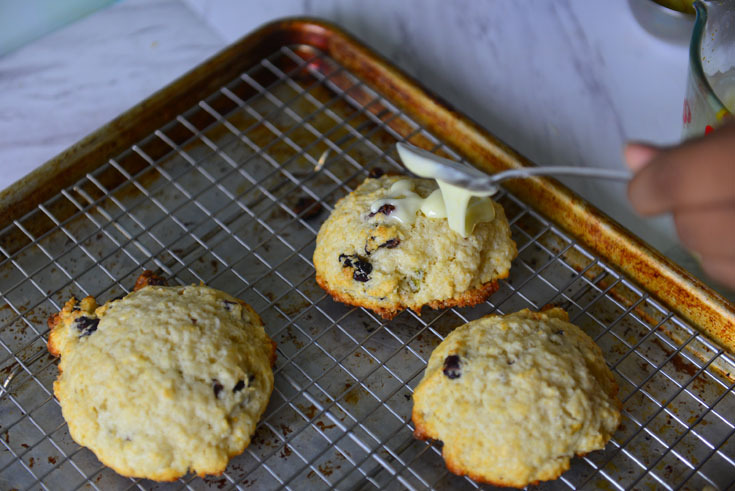 Our favorite is this Christmas Morning Scones. 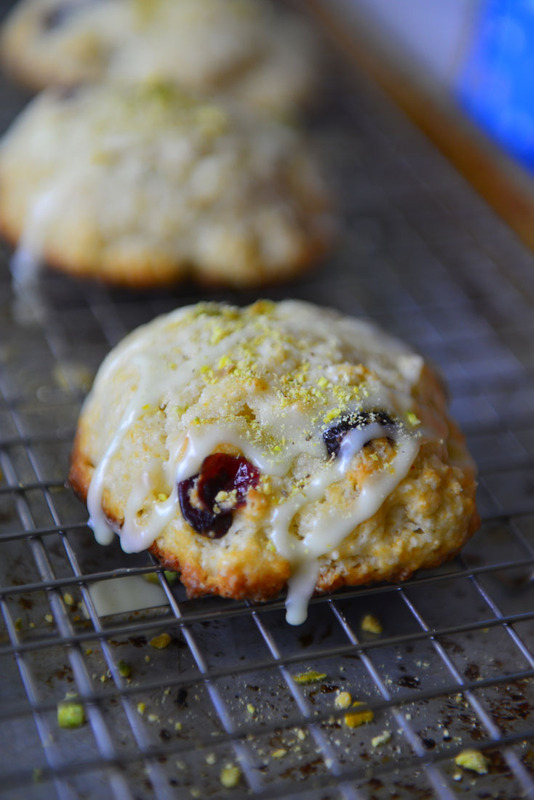 These bright looking scones are flavored with orange zest, cranberries and pistachios. 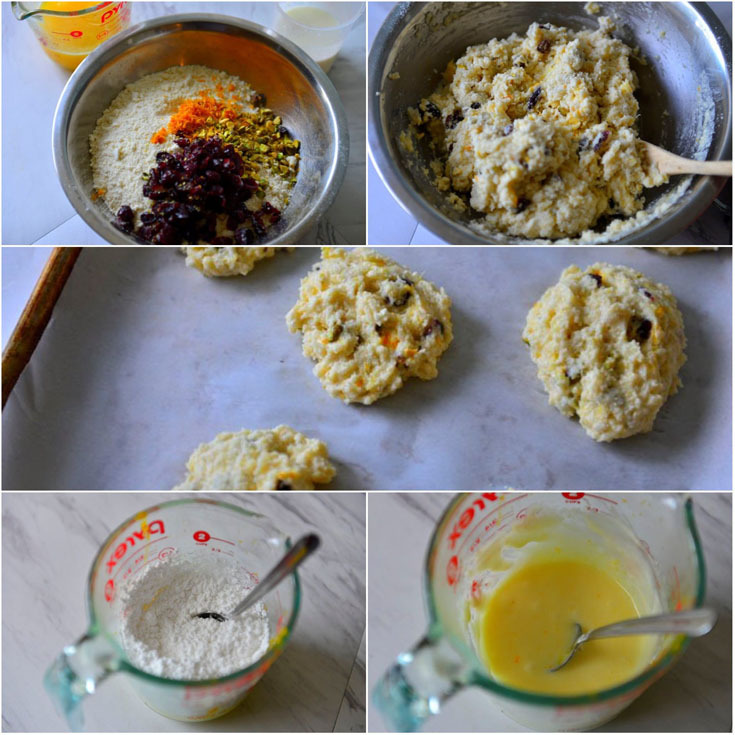 Easy to make, and easier to share ..
To me scones are one of the easiest bakes. Not much prep and they need very little baking time as well. These beauties can be made home in less than the time it takes for me to go to the store and buy a box . 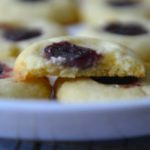 A well made scone is crumbles in the mouth and is a perfect companion for that morning cup of joe. When making breakfast scones we keep the sugar a tad bit low , but on Christmas one is allowed a little indulgence. There is not too much sugar in this version either, but it is drizzled with orange glaze to make up for it 😉 . The wonderful flecks of red from the cranberries and the green from the pistachios adds to the festive touch. Now you know why I call it Christmas Morning Scone ! Often times I make my scones with part whole wheat flour. 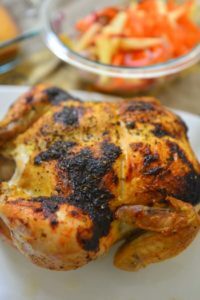 The recipe works well with partial substitutions – up to 50%. You may have to add 1 to 2 tbsp extra liquid to bind everything. 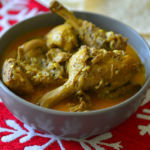 For Christmas it is usually made with all white flour (All purpose) . The all purpose flour I use are always unbleached and un-bromated, and more often than not organic as well. I can not marvel at this being such easy morning bake. Mix everything scoop on to a baking sheet and bake. No shaping , resting or waiting. All the time in the world unwrap and enjoy the presents 🙂 or curl up and finish reading that book – which currently in my case happens to be one on worpress ! Unlike cakes and breads the dough for scones is not homogeneous and smooth. Small pieces of butter is distributed uniformly in the dough , allowing it to melt and form the characteristic crumbly texture while baking. 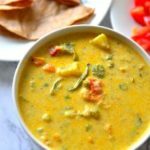 The fastest way to achieve this is to add all the dry ingredients to a food processor along with chopped cold butter and pulse a few times. 4 to 5 pulses is all it takes to get the mix to a coarse bread crumb texture. 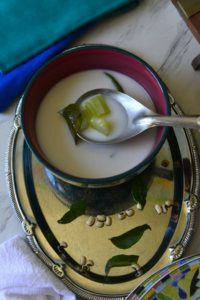 Transfer to a mixing bowl and fold in the fruits and nuts as well as the liquid. Do not overwork the dough. Prep Ahead The mix can be made ahead in the dry form , i.e. without adding milk and chilled in the fridge overnight. In the morning pre-heat the oven, take out the mix and fold in the cold milk. 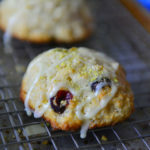 Delicious cranberry and orange scones - an easy breakfast/snack. Start with all cold ingredients. Place the dry ingredients - flour , baking powder and salt , in the jar of a food processor. Pulse twice to combine evenly. Chop the cold butter into half inch cubes and add to the flour mix . Add the sugar . Pulse 4 to 5 times until the mix looks like coarse bread crumbs. Turn out into a mixing bowl. Alternately you could cut the butter into the flour sugar mix in a bowl using a pastry cutter or forks. Add the cranberries , chopped pistachios and the orange zest. Use a spatula and gently mix everything. 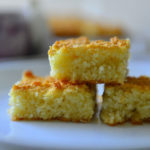 Drizzle the cold milk and again use the spatula to stir the mix until all the flour is moist. Do not knead or work the dough more. The dough should just hold together when scooped up . Using an ice cream scoop transfer the dough in batches to a cookie sheet. Place each scoop about 2 to 3 inches apart from each other. Do not flatten. Bake in preheated oven for 12 to 15 minutes until the tops begin to turn golden . Remove from the oven, cool in pan for a minute and transfer to a cooling rack. Cool for at least 10 minutes before icing. Take the icing sugar in a bowl. add the orange zest and vanilla extract . Pour enough of the orange juice to make a thick glaze. Drizzle over the cooled scones . Sprinkle some chopped pistachios on top. I prefer not to make this dough by hand as the body heat is enough to soften the butter. 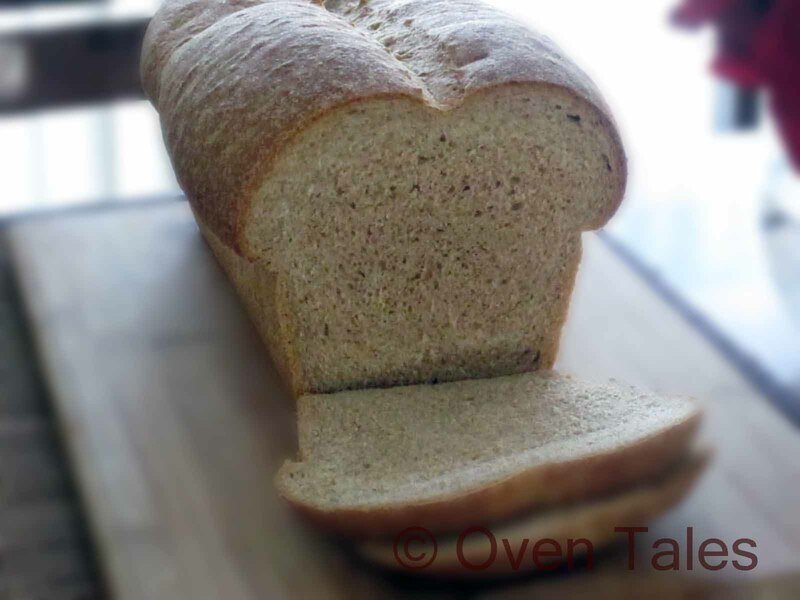 You can substitute up to 50% of the flour with whole wheat flour for a healthier version. In this case increase the liquids by one to 2 tablespoons.